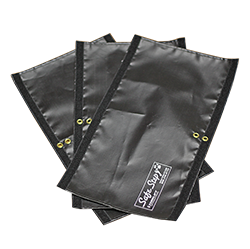 Achieve a safe and stable entry to your truck camper with the Original GlowStep system. Using its self-illuminating feature, the GlowSteps glow in the dark up to 10 hours with just five minutes of light exposure. 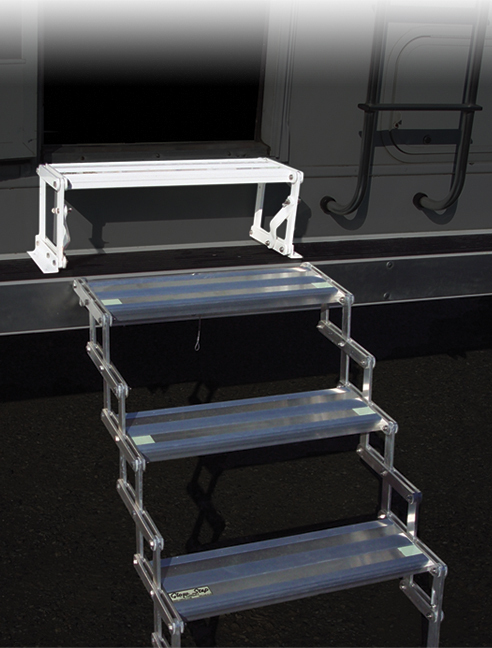 No need to depend on battery power to light the truck camper entry steps. 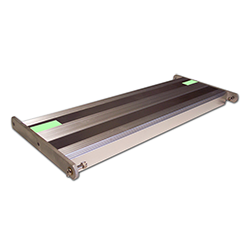 GlowSteps are available ranging in two to six steps with the option to add or remove steps using our Add-a-step option. 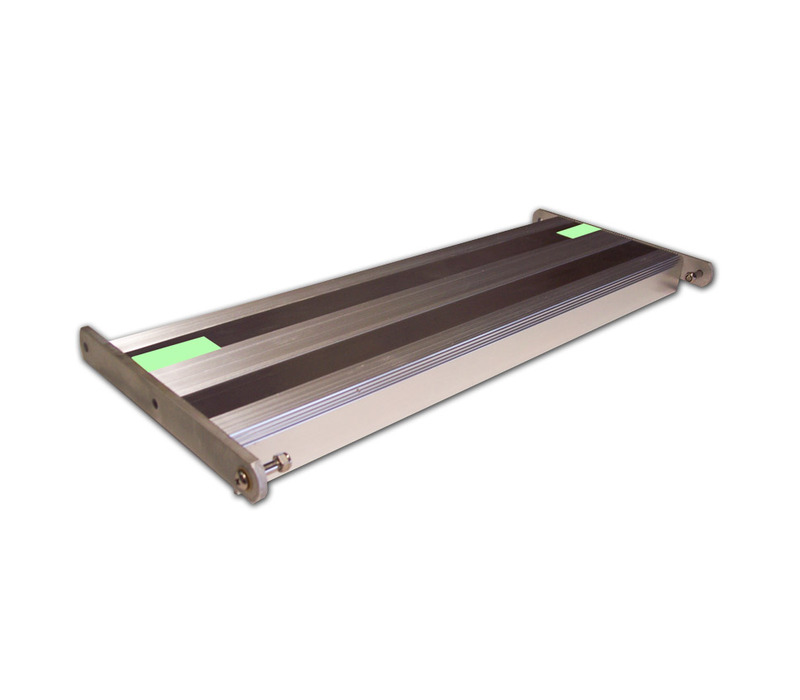 Composed of 100 percent aircraft grade aluminum and stainless steel, the rust-free steps have a unique SureGrip™ step tread to create an anti-slip surface. 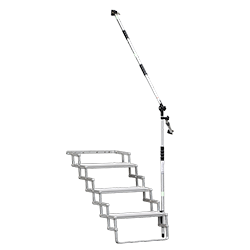 Engineered with a special hinge design, the truck camper steps deploy and retract with ease, yet are built to maintain longevity and durability. 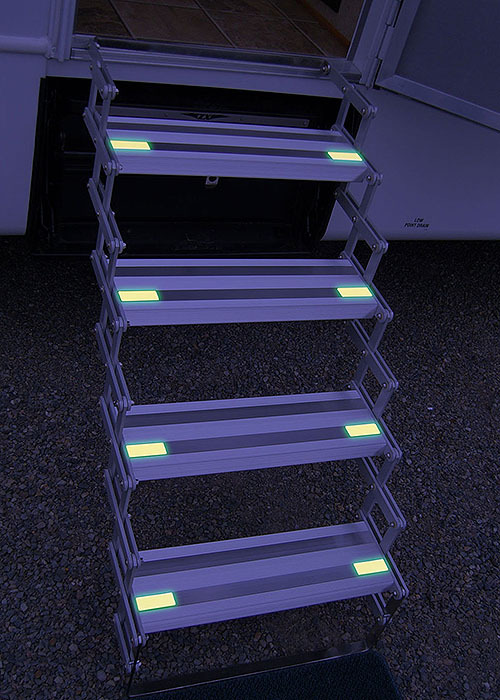 The GlowSteps are extraordinarily sturdy by connecting the RV all the way to ground level. With the option of adding the All Terrain Landing Gear, the adjustable feet ensure solid placement on any type of terrain. Just like a well-constructed permanent home feature, the level of stability is simply unmatched. Imagine feeling that security everywhere your truck camper takes you. It's like planting roots each time you deploy the steps, knowing your family can safely enter and exit the camper day or night, rain or shine and worry-free. 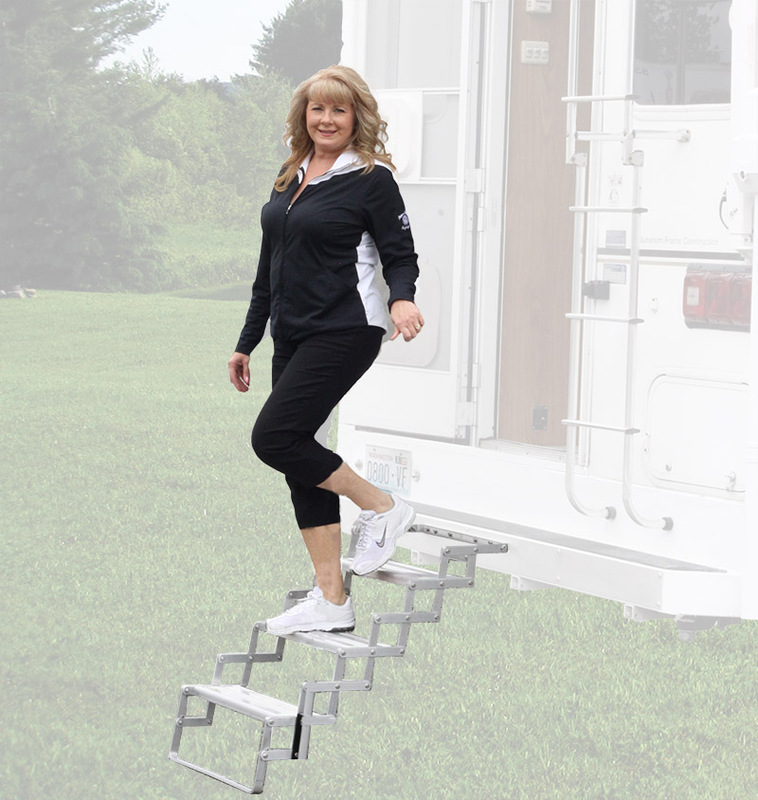 Not only does the GlowStep provide unparalleled stability, it also gives you the ability to transfer your steps between different RVs, trailers and truck campers with the GlowStep Mounting Bracket. 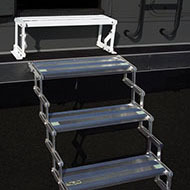 The GlowSteps come with a full mounting system, but also available as a separate accessory is the GlowStep Mounting Bracket. 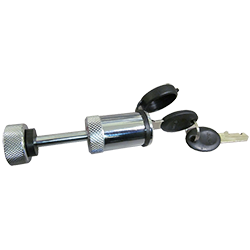 This step bracket is designed to be a universal mounting system and be as non-obtrusive as possible when not in use. 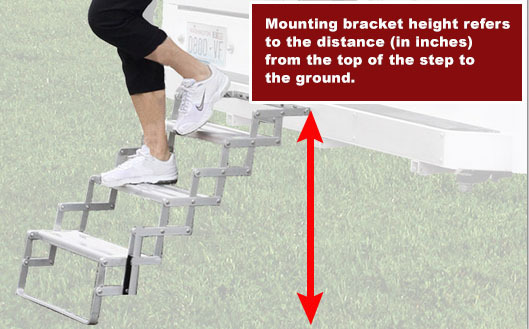 Use of the GlowStep Mounting Bracket is simple: install to your step entry, then insert or remove the included clevis pins to attach or remove your GlowSteps. 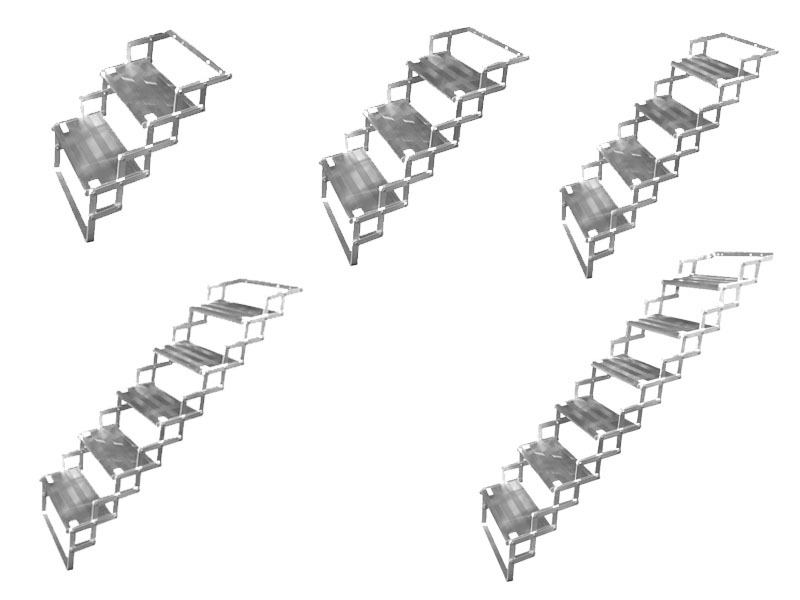 Choose to design your GlowStep system to fit your needs. 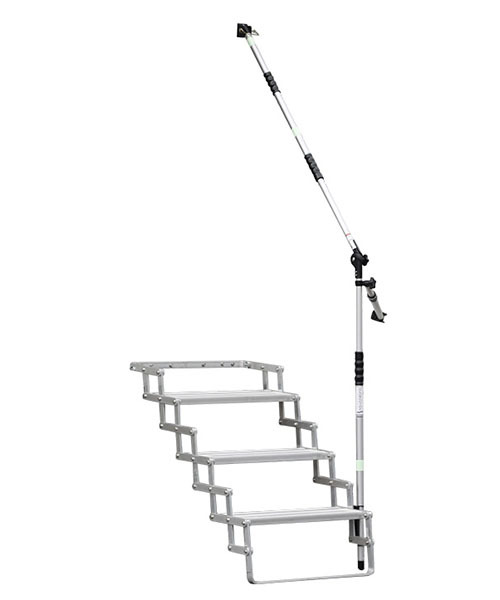 Accessories include the GlowGuide Handrail, SafeStep pet safety barriers, Dirt Destroyer shoe cleaning attachment and All Terrain Landing Gear adjustable leveling feet. 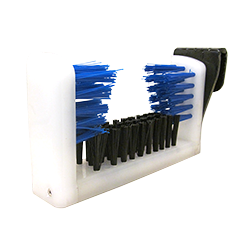 The GlowStep stores easily into position and is lockable to prevent theft. 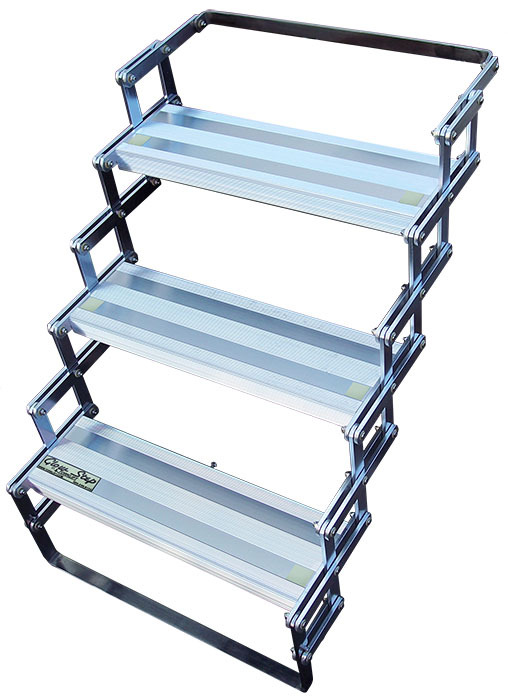 This lockable step also adjusts to basement model campers, has a Legendary Lifetime Warranty and is proudly made in the USA. 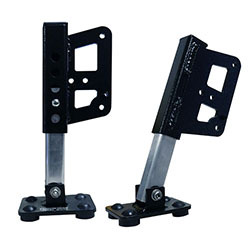 Click here to see how mounting bracket height is determined. • Step 2: Determine mounting location. 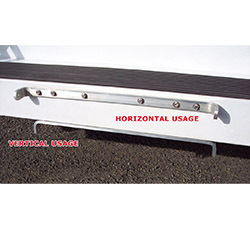 You will need a flat mounting area of 1 inch tall and 20 inches wide underneath the truck camper doorway. 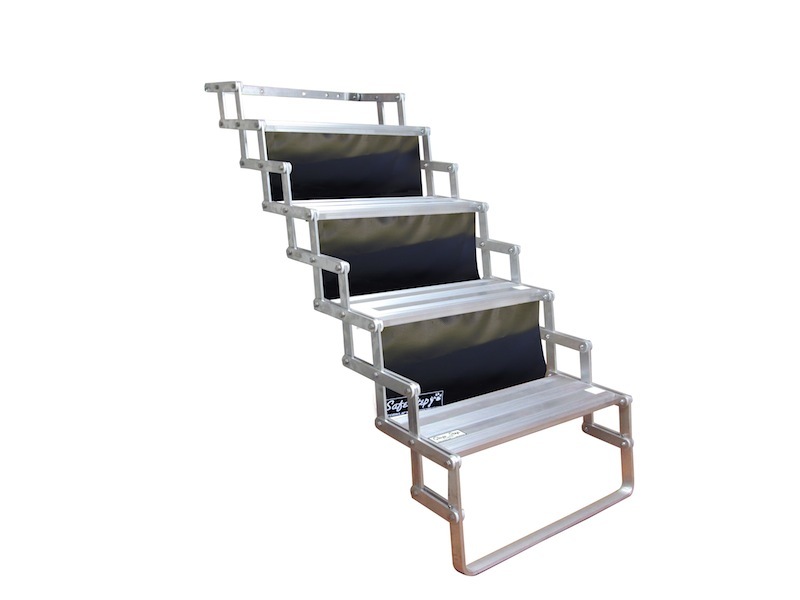 The steps can also attach to the truck camper bumper. Shipping in all new GlowStep kits. Universal Bracket Dimensions: 20" width - 1" height - 3/8" thickness.